* Below are actual letters from real users of Systeme 41. 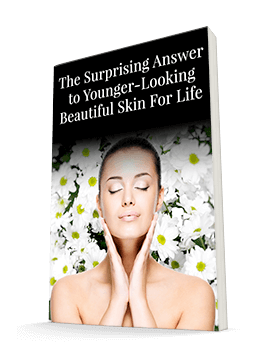 Based on an 8 - week study, the average user could expect a 14% increase in skin hydration, an 8% decrease in the number of fine lines, and an 11% decrease in the depth of coarse wrinkles. These customer's statements may not reflect the typical purchaser's experience and are not intended to represent or guarantee that anyone will achieve the same or similar results. The reviews should not be taken as the results a typical user will get. Your results may vary. "I have been using Système 41 for 2 months now. My skin feels amazingly hydrated and soft. I can't live without the Rejuvenating Masque. It makes my face appear smoother and brighter. Système 41 calms my sensitive skin and gives it a radiant glow even while living in the dry climate of Southern California. "Having used the Système 41 skin care kit for several months now, I have found that the Eye Serum helped to significantly decrease the look of a worry line I have as well as decrease the appearance of crow's feet I was starting to develop. "After using Système 41 for 3 months, I can say, without hesitation, that the products are great! I've tried very expensive products in the past, but didn't stick with any of them because I couldn't see or feel the results. I love how the Day Crème makes my skin feel. It feels more hydrated and smoother, as when I was younger. I use the Eye Treatment every day and night. It's actually diminishing the appearance of those fine lines. My personal favorite is the Purifying Cleanser. Its creamy texture and yummy, light natural fragrance leaves my skin feeling super clean, more toned, but still soft. "Système 41 is the super emollient luxury skin care I have been looking for. Having tried brand after brand, what I love most about this product is the way my skin feels in the morning. When I wake up and wash my face, the night crème is still there! No dry skin after a long night's sleep. The eye crème is wonderful too. I love the pump bottle — so user friendly. Thank you, Système 41, for making my skin feel softer, tighter and moister than it's been in years."